Three days after I thinned my lettuce plants, I think it’s growing. At least it looks like it, if you closely compare left and right sides in photo with this post. I think the red lettuce is definitely bigger, as well as some of the green. However, it doesn’t help that we had sleet and a few snow flurries last night and this morning. I mean, I know lettuce is a cool-season plant, but I’m guessing it doesn’t like it that cold. It’s supposed to warm up for a few days, so I’ll post photos a couple times a week so you can really see if there is any difference. So, still waiting on a BLT with homegrown lettuce. Maybe soon. Maybe not. 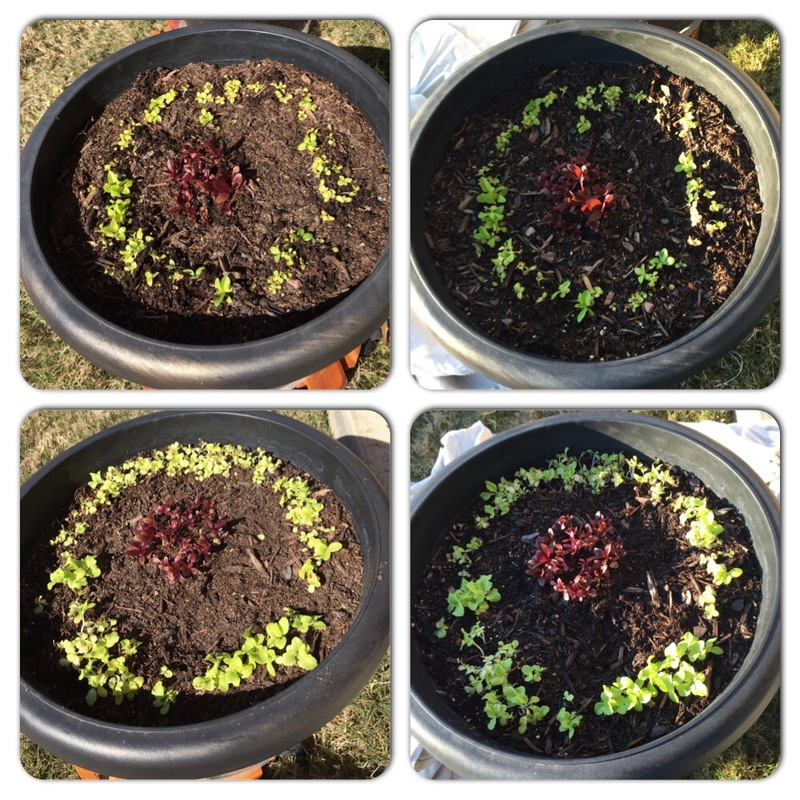 This entry was posted in Gardening and tagged lettuce on February 17, 2015 by Julie Riebe.